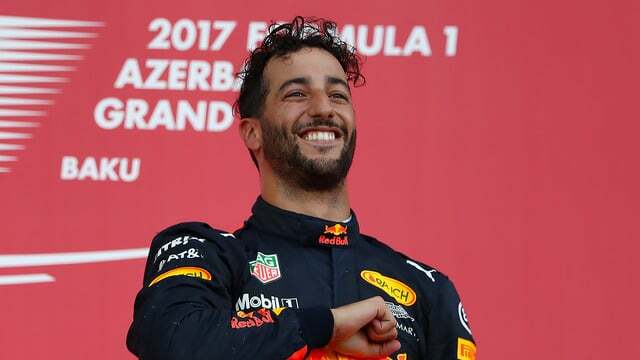 Daniel Ricciardo won after mostly inheriting the lead but doing a good job with it. Valtteri Bottas fought back from another first lap incident with Kimi Räikkönen to finish second, with Lance Stroll keeping out of trouble for an impressive third place. Sebastian Vettel was fourth after crashing into the back of Lewis Hamilton, who may or may not have brake-tested him under the safety car. Vettel was then penalised for pulling alongside the Mercedes and bashing into him in retaliation, and somehow still managed to finish ahead. Ocon was next, after a crash with his teammate that knocked Sergio Pérez out of the race. Pérez and Räikkönen were both patched up under the red flag (brought about by debris from oh so many incidents) but both then retired for the second time. And Fernando Alonso finished in the points for the first time this season!